When we learned of the passing of Maurice Sendak this week, we were immediately transported back to a simpler time when chicken soup was always best when served once…and then twice. Ahh…There’s nothing like a good book about food to inspire your kid to eat a healthy meal (or try a new food). 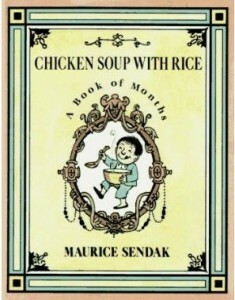 Aside from Sendak’s 1962 classic “Chicken Soup with Rice,” we’ve listed some of our favorite fanciful food books for little kids below. 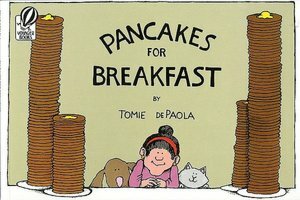 Pancakes for Breakfast (Tomie de Paola): This little book is fun for even the tiniest kids because it has no words, only descriptive pictures, and at some point you can have your kids “read” it back to you. Pancake recipe included. Ages 2 to 8. 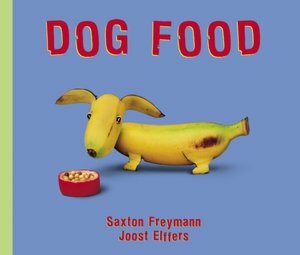 Dog Food (Saxton Freymann and Joost Elffers): The team that brought you “How Are You Peeling?” now offers this incredibly cute book with dogs made from all manners of fruits and vegetables. Can you name all of the fruits and vegetables that are used to make the pups? Ages 2 to 10. 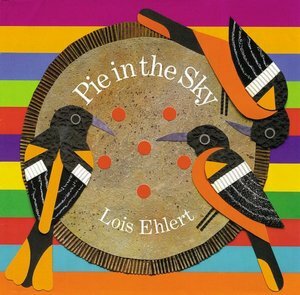 Pie in the Sky (Lois Ehlert): Even if you weren’t reading this book for the words, you still wouldn’t be able to put it down because the illustrations are so darned cool. It’s a tree-to-table story about making a cherry pie, complete with recipe. Your kids will be inspired to go and make their own. Ages 3 to 9. 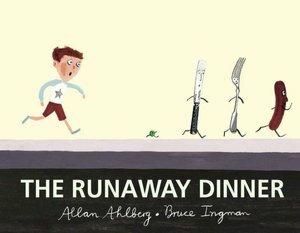 The Runaway Dinner (Allan Ahlberg): Help! The sausage is running away! And there goes the fork and knife…and the peas too! 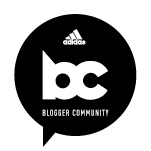 A quick read, sure to provide some giggles before or after dinner. Ages 3 to 9. 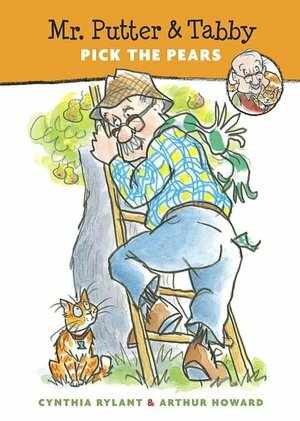 Mr. Putter and Tabby Pick the Pears (Cynthia Rylant): One of many in the Mr. Putter and Tabby series, this one is fun just because of the image of Mr. Putter shooting all of his pears with a slingshot – zing! – over into the neighbor’s yard. And of course she makes all sorts of delectable treats out of them. Ages 3 to 9. 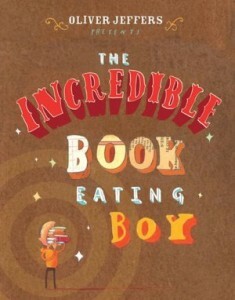 The Incredible Book-Eating Boy (Oliver Jeffers): Henry doesn’t just like to read books; he likes to eat them. A good read with great illustrations – and (spoiler alert) it ends with a whole bunch of broccoli being consumed. Extra bonus: The hard-cover version comes with a big bite out of the back. Ages 4 to 10. The Popcorn Book (Tomie de Paola): Another Tomie de Paola food book fave. This book tells a little story while walking you through the history of popcorn and taking you step-by-step through a popcorn recipe. Your kids will never want to eat microwave popcorn again (well, at least sometimes they won’t). Ages 5 to 10. Hungry for more book recommendations? Check our list of books for picky eaters. I LOVE, LOVE the Pancakes for Breakfast book. LOVE! Brings back beautiful memories! Chicken Soup with Rice and Pancakes for Breakfast were much-loved in our house 🙂 and a favorite chicken soup with rice that my daughter still loves.